With the market’s paper gains for 2018 now mostly gone, no thanks to the correction, I’m guessing this would have a lot of appeal. So today, I’m going to show you 2 “pullback-proof” dividends paying 5.4% and 7.7%, with plenty of price upside ahead, too. First, if the daily barrage of negative headlines has you pondering bailing out on stocks, stick with me for a second, because that’s the worst thing you could do now. Imagine, for example, if you’d sold out on any of the scares we’ve seen in the last 10 years. It’s worth revisiting this rogue’s gallery, to remind ourselves that we’ve been here (and to worse places) before. Given recent events, now seems like a particularly good time to give you the 2 buys I mentioned off the top–plus my favorite strategy for funding your golden years without suffering a daily panic attack from the headlines. 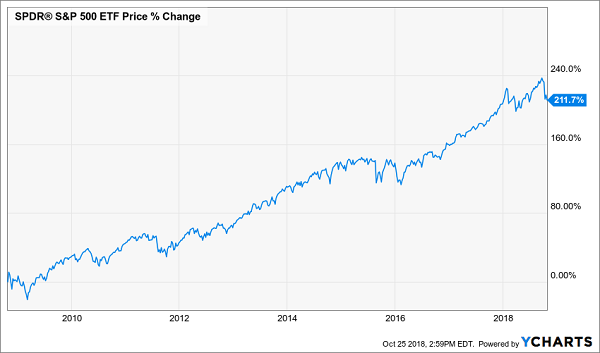 You’ve likely heard of Wall Street’s “4% rule,” which says you should supplement your dividend income in retirement by selling 4% of your portfolio every year. And that’s in just six weeks! I know I don’t have to tell you that pulling a fixed percentage of capital from your portfolio in a really long slump is a recipe for wiping out your nest egg–not to mention your dividend income. Luckily, there’s a better approach: investments paying outsized cash dividends of 5.4%, 7.7% and even higher. That way, if you have a nest egg in the $500k neighborhood you could live on dividends alone–and shut off CNBC for good! Which brings me to the first buy I’m going to show you today: a fund that not only throws off a massive 7.7% payout but pays dividends monthly. 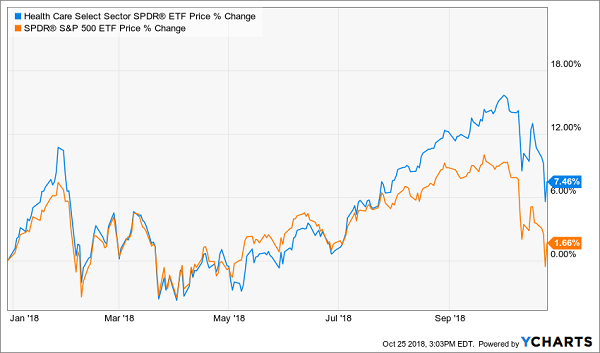 But we’re not going to satisfy ourselves by purchasing the “dumb” index fund you see in this chart, the Health Care Select Sector SPDR ETF (XLV). Its 1.5% payout won’t come close to cutting it if we want to “lock in” our gains in cash and retire on dividends alone. 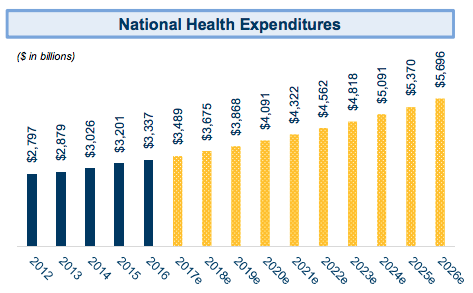 Instead we’re going to turn to a closed-end fund (CEF): the Tekla Healthcare Opportunities Fund (THQ). Check out its top holdings–I’m betting you know every single one. If you’re a regular reader, Tekla might sound familiar, because the company is a long-time favorite of my colleague, CEF “professor” Michael Foster. That’s because it’s poached an all-star team of doctors and researchers from the likes of Merck & Co. (MRK) and Johnson & Johnson (JNJ) to work with its own financial whiz kids. Their expertise is showing up in THQ, Tekla’s newest fund, launched in 2014. So far this year, it’s bagged a 7% total return (with dividends included). And while that’s a bit behind XLV’s, 8.7%, we’re not going to split hairs here because unlike XLV, which could give up the difference tomorrow, THQ’s gain was almost entirely in cash, thanks to its monster 7.7% payout. That kind of performance, during a very volatile year, is just the kind of field test we want from a “forever” retirement play. And THQ’s monster dividend gets further support because the fund’s market price is 9.2% lower than its net asset value (NAV, or what its portfolio is worth on the open market). This discount is a quirk of CEFs that gives us both price upside (that gap has narrowed to as little as 5.8% in the last 2 years) and downside protection. For income-seekers, the upshot is that thanks to this markdown, the only yield that matters is the yield on NAV (or what management must get from the portfolio to maintain the payout). Right now, THQ’s yield on NAV sits at 7.1%, a much easier bar for the team at the top to clear. 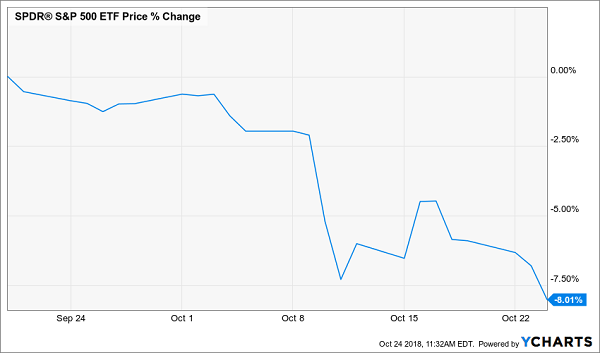 THQ boasts a monthly 7.7% dividend, top-flight management and high-quality portfolio in a sector with plenty of upside, thanks to the wave of retiring baby boomers. That makes it a great fund to buy now, before its discount narrows further. 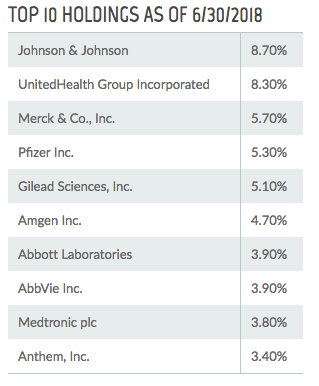 Of course, big-cap healthcare stocks aren’t the only way to tap big gains (and income) from this cash-flush sector. Another option: Go straight to these companies’ “landlords” and grab a big chunk of the rent the collect every month in cash. The trust isn’t only diversified by territory: it also gives you an extra layer of safety by spreading its properties across a long tenant list, with no single occupant chipping in more than 6% of annualized base rent. Which brings me to the trust’s dividend, which clocks in at a gaudy 5.4%. Sure, that doesn’t quite hit the same level as THQ, but there’s room for growth: funds from operations (FFO, a better indicator of REIT performance than earnings) are surging: up 27% since the first quarter of 2016. And let me leave you with this: even though it aced the downturn, you can buy DOC at just 16-times FFO. That’s a smoking deal, given the REIT’s defensive chops and room for upside in both the share price and the dividend. Grab this one now and lock in its “pullback proof” 5.4% payout today. As I showed you above, defensive REITs and CEFs are your “dividend lifeboats” when the markets get rough. That’s because their massive cash payouts give you more of your profits in cash, rather than here today, gone tomorrow paper gains. And by focusing on REITs and CEFs with steady cash flow, you can make sure your nest egg stays intact–and grows for the future. 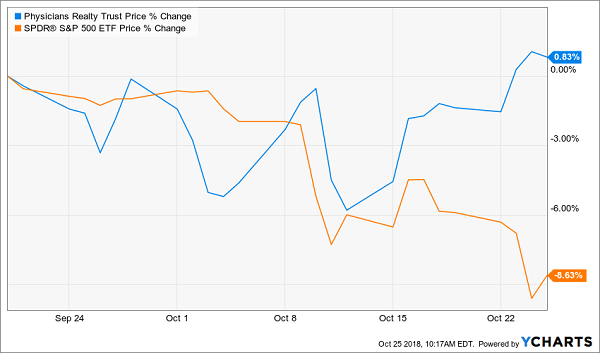 I’ve got 6 more dividend plays to give you–all REITs and CEFs–that fit this description to a T. Each one taps into the same kinds of surging trends as THQ and DOC, but with one crucial difference: they pay even higherdividends. I’m talking 8% cash payouts, on average–enough to let you retire on dividends alone with a $500k nest egg, thanks to the $40,000 yearly income stream these defensive superstars give you. Because the newest issue of my Contrarian Income Report newsletter will publish this Friday, with fresh updates on the 19 stocks and funds in our service’s portfolio, handing our savvy CIR members massive yields up to 11%! I want to send all 19 of these cash-rich plays your way, too. Don’t miss out. Click here and I’ll give you INSTANT access to my 8% No-Withdrawal portfolio and the latest issue of Contrarian Income Report, with its 19 powerhouse income plays (yields up to 11%). The Vanguard High Dividend Yield ETF (VYM) was unchanged in premarket trading Tuesday. Year-to-date, VYM has declined -3.86%, versus a -0.73% rise in the benchmark S&P 500 index during the same period.